Nashville, Tenn. (October 24, 2016) – Bridgestone Arena ranks fifth in the United States and 15th in the world for concert ticket sales, according to international trade publication Pollstar’s Third-Quarter Ticket Sales report. Pollstar announced Bridgestone Arena ticket sales as 368,796 inclusive of solely show and concert tickets, from 37 events, 48 performances and 15 sold-out shows. 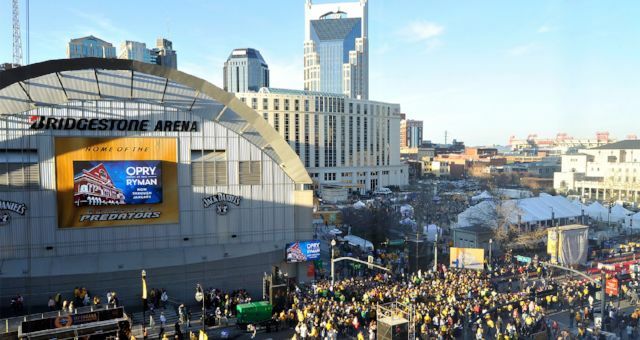 When including the SEC Men’s Basketball Tournament and Nashville Predators home hockey games, Bridgestone Arena has hosted nearly 1 million people in the building year to date. “This ranking is a wonderful reflection of the support we get from all the fans who attend world-class events here at Bridgestone Arena,” Senior Vice President of Booking David Kells said. Bridgestone Arena underwent close to $10 million in renovations this summer, which included the completion of entirely new arena seating, environmentally-conscious restroom enhancements and over a dozen new food and beverage stands. Serving as the home for numerous national and international events, Bridgestone Arena has the distinction of being one of the busiest venues in the United States over the past decade and a half. In addition to being named nominated for Pollstar’s 2015 Arena of the Year, Bridgestone Arena received the Prime Site Award for 2016. Kells also recently received recognition as the 2016 IEBA (International Entertainment Buyers Association) Venue Executive of the Year in October. To receive regular updates on upcoming events at Bridgestone Arena go to BridgestoneArena.com. For more information on the Nashville Predators, game schedule and ticket availability, please visit NashvillePredators.com.